Silber's annoucement on the Canonical blog is one of the finest tracts of New Speak ever written. The further quote from Silber; "the free storage wars aren’t a sustainable place for us to be," was an admission of something some of us knew from the outset. But don't worry, Canonical really believes in all that technology they're now getting rid of. I concluded a while ago that Canonical was losing the plot, even though it took me a while longer to jump ship to Debian. Grandiose announcements over the last four years have singluarly failed to turn into product, whilst making Mr Shuttleworth and his loyal band look repeatedly like the Walter Mitty Appreciation Society. Where is my Ubuntu TV? Or Ubuntu phone? Ubuntu Edge? On a working product? It's a case of serial expectation mis-management. It's a tale of lofty ambitions and laudable visions, but a distinct lack of saleable product, taken up by industry players. High goals aiming at global markets and yet, somehow, missing all of them while repeatedly annoying their core market. I think it was Unity desktop that finally pushed me overboard; an infeasible pain in the rear to get running on any older graphics cards, no VM support and tight integration with Amazon spyware - sorry - search functionality, one of the first things we'd disable, thereby defeating the objective of Amazon revenue share. 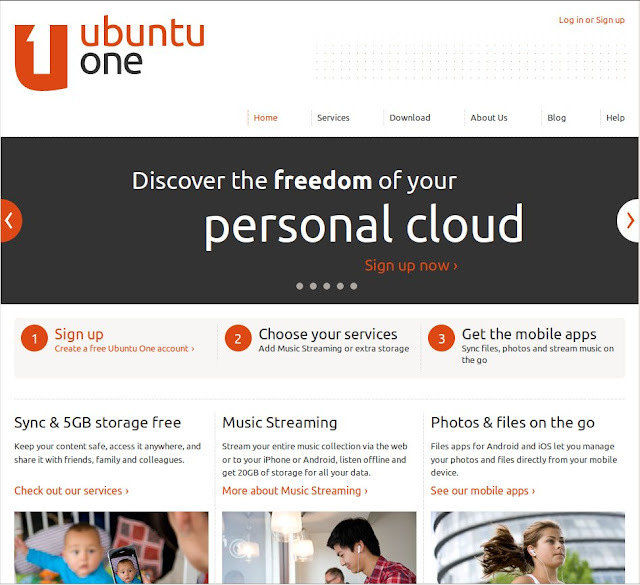 And having pitched the over-priced yet under-whelming Ubuntu music store, tightly coupled with the UbuntuOne cloud storage, a ‘unified’ experience across desktop and mobile platforms, only to ditch the integrated synchronisation service almost without warning... well, really?? What, dear Canonical, are you trying to achieve? At what point did someone in Millbank Towers remove the rose-tinted spectacles and realise that Dropbox, Sugarsync, Google Drive and Skydrive had wiped the floor with you? It's all very well calling time on unprofitable projects (indeed Google belives this to be a virtue), but not when you've spend so much effort convincing the faithful that these are indispensable utilities of first resort. Add to this the last couple of years of spats with the Community and the software developers in particular, whilst chumming up to China, and you have to wonder; did former residents of Millbank Towers, Alistair Campbell and his New Labour party spin-doctors leave their flip-charts and mind-maps behind for Mark and co. to recycle?